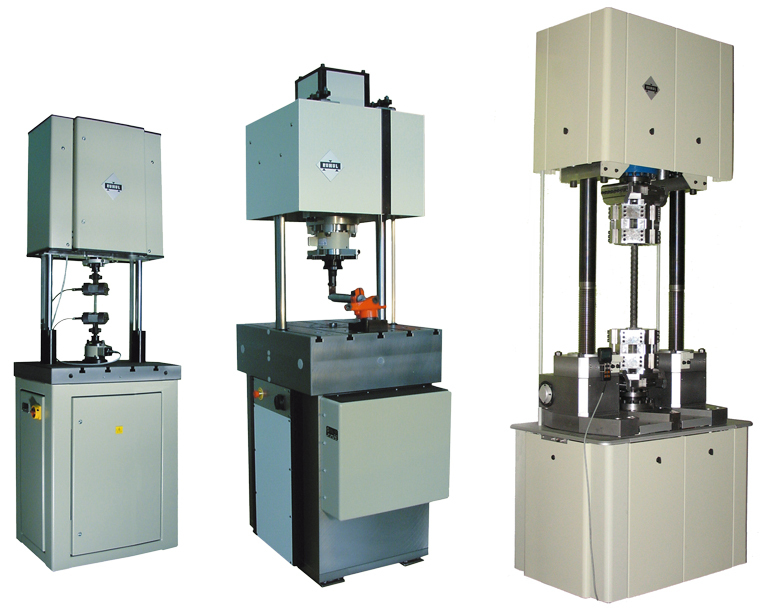 Resonant testing machines can stress specimens or structures with a dynamic load superimposed to a static load. The dynamic load is generated by an oscillating system (resonator) which runs in its natural frequency. The oscillating system consists of masses and springs whereas the structure or the specimen which has to be tested is also part of. Resonant fatigue testers have huge advantage over servo-hydraulic fatigue testers offering better efficiency, higher frequency, low maintenance, and cost. Typical application include fatigue test of aerospace and automotive fastners, engine components, turbine blades, chains, etc.